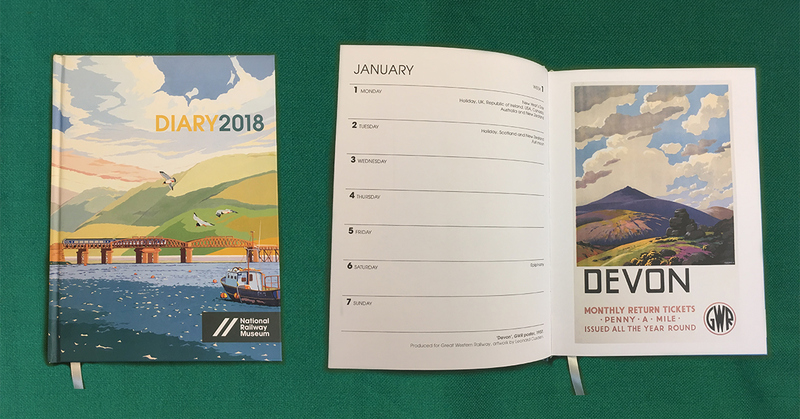 Enter our festive draw for the chance to win this stylish National Railway Museum 2018 diary. Update: The draw has now ended. We’ve announced the winner in the comments of the original Facebook post. Simply complete the form below by 10am on Thursday 14th December 2017. The draw will be made on Thursday and the winner will be announced on our Facebook page by the end of the week. The draw is promoted by the Devon & Cornwall Rail Partnership. It is open to UK residents only. Entrants’ contact details will only be used to contact the winner and will not be stored. The only exception to this is if the entrant ticks to receive the Devon & Cornwall Rail Partnership e-newsletter. If the winner cannot be contacted or fails to supply their postal address by midday on Friday 15th December, a replacement winner will be picked.